Make your home feel a lot more furnished and exotic by introducing this magnificent Complements Nova Vase. 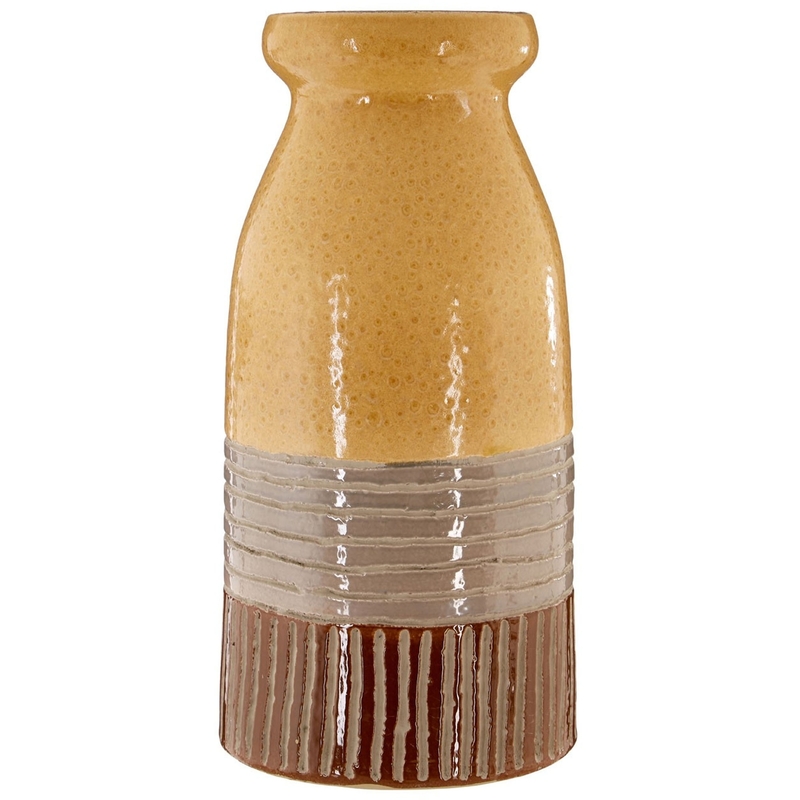 This vase has a stunning design that takes a traditional shape and gives it a tropical feel. The combination of the brown, grey and yellow colour creates a very warming style that looks very exotic, as well as very modern.